FACT CHECK: Did the Obamas Wear Che Guevara Shirts During a Cuban Trip? Did the Obamas Wear Che Guevara Shirts During a Cuban Trip? 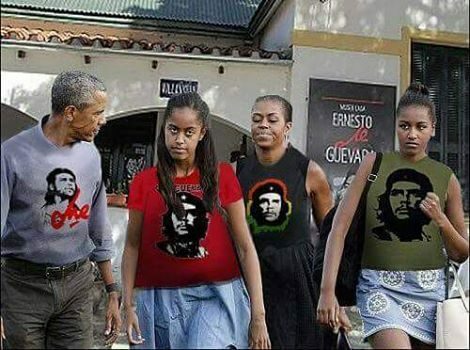 A poorly edited image supposedly showing the Obama family wearing Che Guevara shirts in Cuba has been shared tens of thousands of times on social media. A photograph shows the Obama family in Cuba wearing Che Guevara shirts. Here’s Obama and his family wearing the shirts of a thug and murderer in a Communist country. Where was the media and Democrats outrage then? They actually praised this! Hillary Clinton’s political campaign reportedly placed an order yesterday for 100,000 Che t-shirts in what her campaign describes as “having nothing to do with” the President’s trip to Cuba. 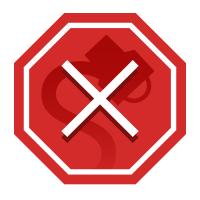 Article 107 News is a satire site, and you shouldn’t believe anything we publish is real. You should, however, mercilessly mock everyone who does. If you’re looking for real news, check out our sister site The Havok Journal. This was hardly the first time that President Obama had been dressed in controversial clothing thanks to the work of photo editing. In March 2015, shortly after President Obama’s historic trip to Cuba, another doctored image purportedly showing the president holding a Che Guevara shirt was shared by Texas politician Sid Miller. Fake photographs depicting the president in a “pimp” outfit and an Aleister Crowley shirt have also been shared online.